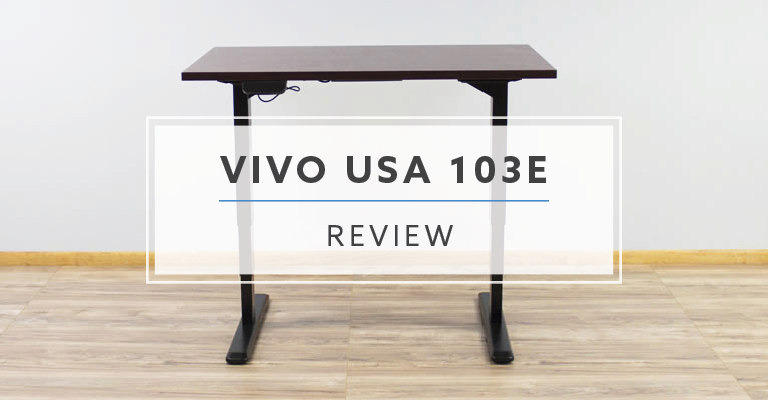 Today we are going to be taking a closer look at the VIVO 103E electric standing desk. The VIVO standing desk has slowly been gaining popularity on some of the larger marketplaces, mainly due to its low price point. While the VIVO product comes with one of the lowest prices I have found, it’s important to understand that you typically get what you pay for. This is especially true with electric standing desks. With that, let’s take a closer look at the VIVO 103E standing desk. Need help? Get our Free Electric Standing Desk Buying Guide! Full Disclaimer: We are an office furniture dealer and sell some of the products we review. To learn more about the products we sell, our review process and why you can trust us, please visit: Why we’re different. Who is BTOD.com and The Breakroom Blog? 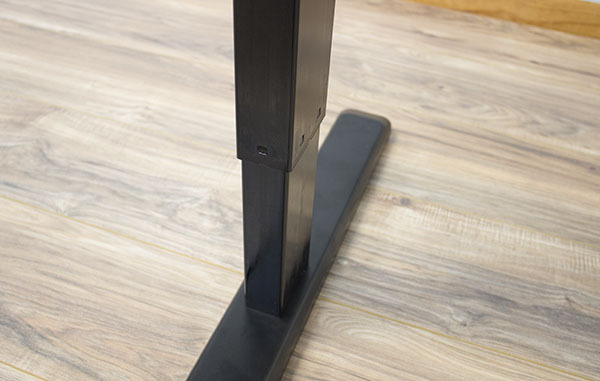 The current OEM for the VIVO 103E standing desk is Sinolinear. They are part of a larger group, called the Lumi Legend Group. The oldest portion of this group that manufacturers ergonomic products is Ergovida Health. It appears that the Sinolinear brand is an offshoot of this portion of the Lumi Legend Group. The Lumi Legend Corp. was founded in 1998. In 2004 they realized the opportunity existed for design and manufacturing mounting products for flat screens. In 2016 they were inspired by marketing data and decided to enter in the ergonomic products category. They expanded their product line to include electric standing desks, monitor arms and additional accessories. The VIVO Brand is a U.S. based company that is a fairly significant importer of products from various categories. With the majority of their sales coming from large marketplaces and resellers. 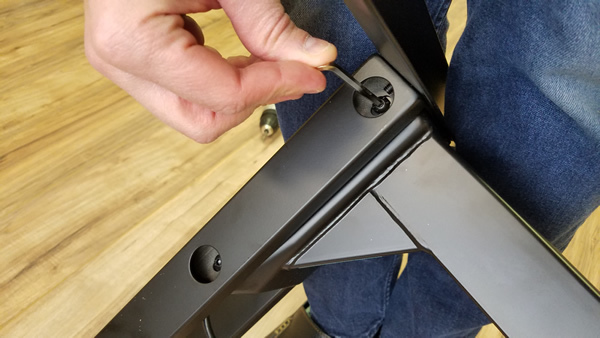 Their entry into the standing desk market appears to have taken place in 2016, when one of their OEM’s, Ergovida began manufacturing standing desks. The packaging for the VIVO 103E is good, using a cut foam to protect all of its contents. All of the parts have their own place and each was provided with plenty of padding. The box was heavy, but that is to be expected with steel standing desks like the Vivo 103E. Overall, I am confident this product could make it across the USA without any damage. 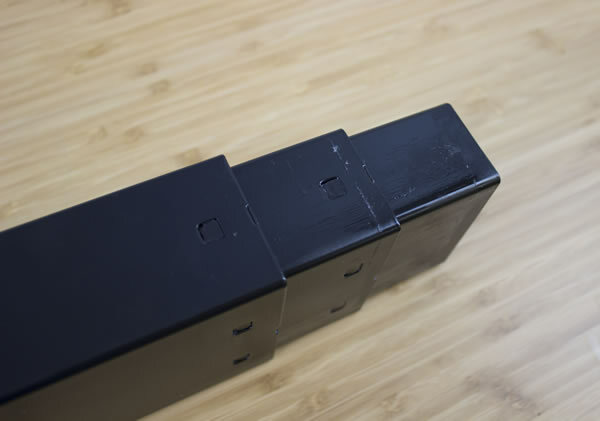 The assembly process for the VIVO standing desk is straightforward. 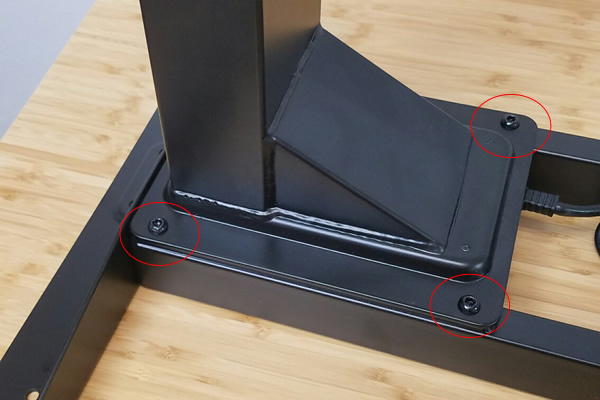 Similar to the Actiforce line of standing desks, they have eliminated the pain points for attaching the upper cross support found on JieCang frames. 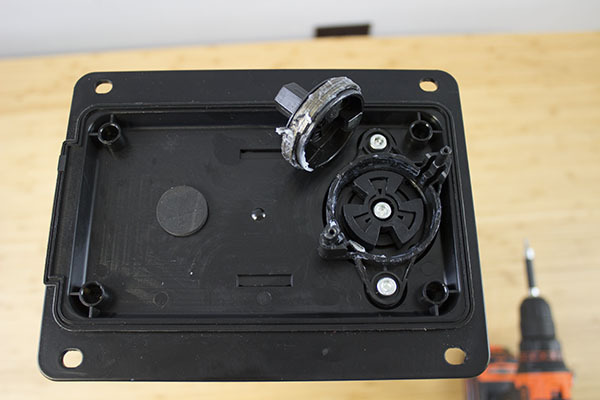 Instead of using recessed holes to mount the motor box to the upper frame, they attach from the underside of this frame. This definitely makes the process easier for assembly. One thing I found interesting with the assembly was the hardware included. 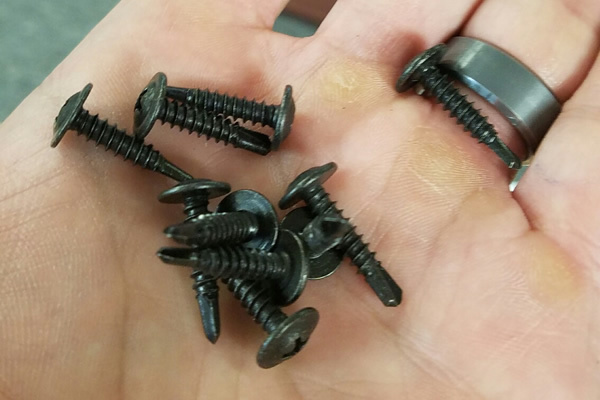 When locating the hardware to attach our desktop, I found that they only included a self tapping metal screw. 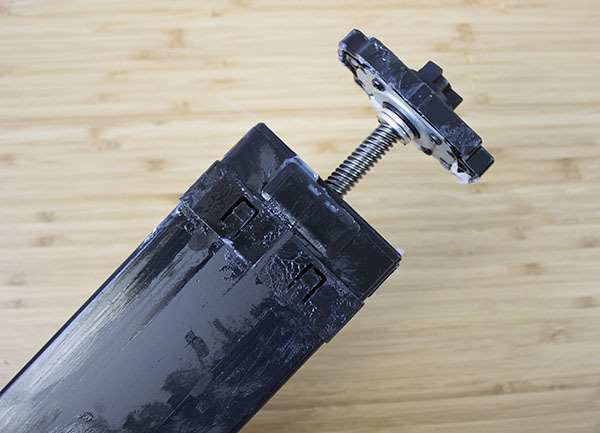 This is not the correct type of screw to mount a wooden desktop to your frame. I would highly recommend purchasing your own hardware to ensure your desktop is securely mounted. After 12 months of testing 20+ electric standing desks the results are in! 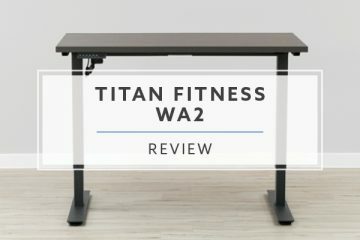 As I have mentioned in all of my reviews and comparisons, stability is one of the most important aspects of a standing desk. While this is something that can be overlooked, it is one of the first things I look at when determining the quality of a standing desk. If your desk is unstable it will impact your efficiency and can cause you to stop using the standing portion all together. The cause of stability issues can be from numerous design flaws. Most commonly, desks missing traditional cross supports will experience some of the worst stability issues. Left to Right: The first test I performed on the VIVO 103E was the wobble test. 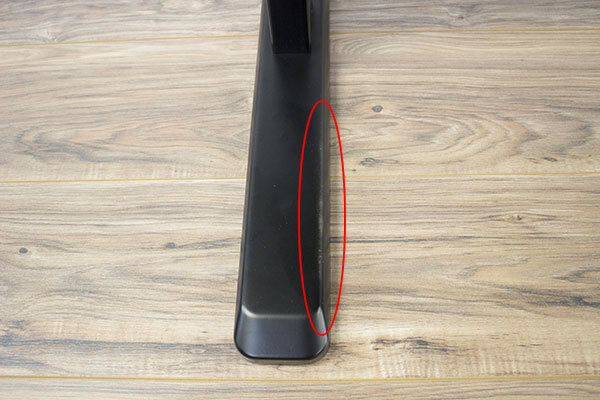 While the Vivo standing desk came with wedges in the upper frame, it’s flaw in the glide/column was hard to overcome. The 103E started to show signs of wobble as early as 36”, by 40” the wobble was bad and would impact your ability to work efficiently. Front to Back: The rocking motion test on the VIVO standing desk was similar to the wobble. There were multiple issues at play, but the VIVO had issues starting around 34”. By 40” the desk had significant rocking issues. Note: As I mentioned in all of my reviews, you have to make sure to fully tighten all hardware. As standing desks become extended the motion will become exaggerated. If your hardware is loose, all standing desks will have bad wobble and rocking motions. 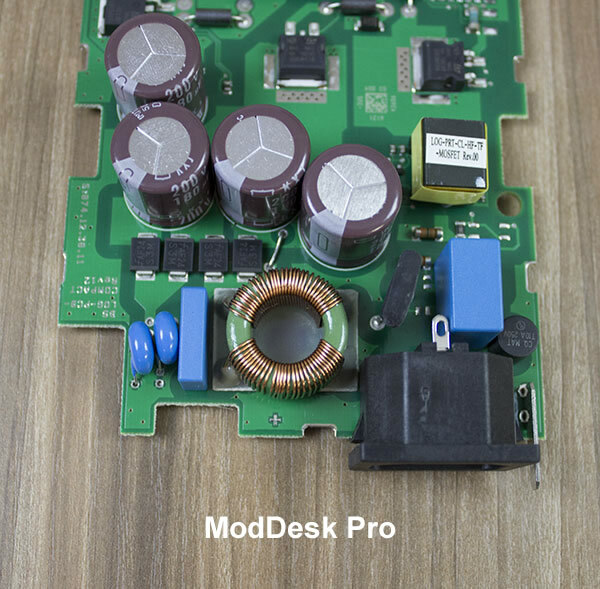 The electronics found on the VIVO standing desk were about what you’d expect for a product on the lower spectrum of standing desks. Because the OEM manufacturer hasn’t been producing these desk for more than a year, I can’t really speak on how dependable they are. 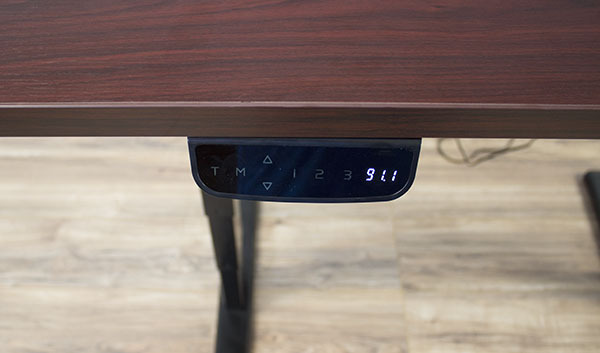 The VIVO standing desk comes standard with a programmable switch, with three preset options. They feature a smart control box system that includes anti collision protection and overload protection. Both systems worked properly when we tested them. 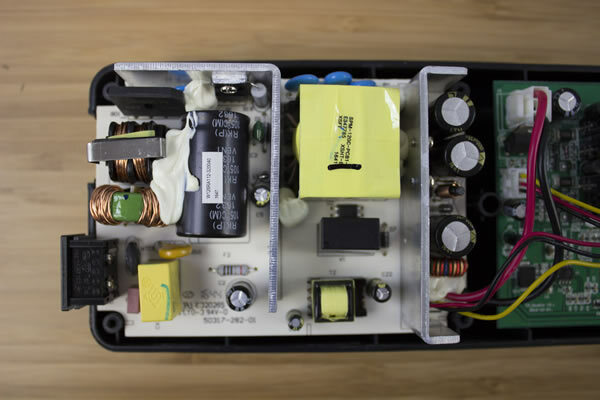 The VIVO standing desk is the first desk that i’ve opened up to see what the actual electronics look like inside the control box. This is the last portion of the electric standing desks that I had yet to take a closer look at. After opening the VIVO control box, I ended up opening five other brands control boxes as well. I will be one hundred percent transparent, I had no idea what exactly I was looking for. Because I’m not an electronics expert, this was definitely new territory. 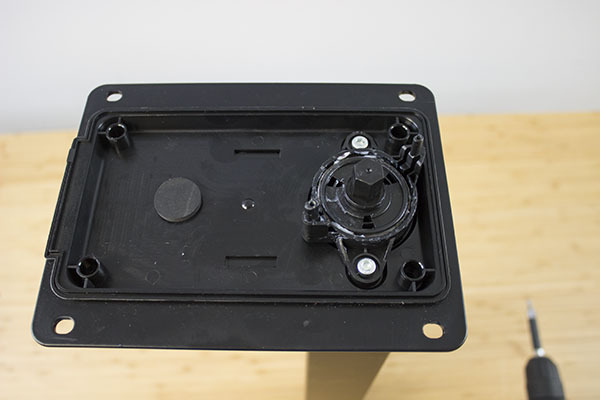 One thing that was fairly obvious, when opening the VIVO standing desks control box, was the lack of attention to detail. When comparing it to all of the other boxes I opened, it had some glaring issues. There were large globs of a white epoxy or a similar type of material used to hold wires in place. When compared to all of the other brands, including Chinese products, the use of this on the VIVO product appeared to be excessive. The second thing I noticed was how they wrapped the wires. When compared to the more expensive products, they didn’t seem to have much rhyme or reason to their setup. The more expensive alternatives were perfect, with a consistent amount of wiring, making for a nice looking finished product. Again, I have no idea if this is good or bad, or if it would impact the product later in it’s lifecycle. If it were my desk, I would prefer brands that pay more attention to detail. Looking at the VIVO standing desk, the foot and upper frame build quality were solid. Both portions of the frame were built from steel and each is heavy. The column itself is built well too. Unfortunately, there is an excessive amount of lubrication inside and outside the columns. This makes for a messy experience that also creates an eyesore when in your office. The first thing that was obvious with the columns was the significant amount of grease on the legs. This was even worse than the JieCang frames; with grease coming out of the glides holes and showing on the outside of the exposed columns. This is a big red flag, considering the columns had yet to be cycled. This means there were grease issues at the factory, but the OEM didn’t care enough to wipe them down before shipping. This is a sign of bad quality control. The second thing that was glaring was the paint quality on the feet and columns. There are inconsistencies across the feet, where it appears there isn’t good paint coverage. This left raw steel showing through the feet. The same inconsistencies are found on the edges of the columns. The packaging didn’t have any paint rub marks, so it didn’t appear to be a shipping issue. Because other areas had good paint coverage, it is likely another quality control issue at the factory. A positive from the design of the VIVO 103E frame design was the use of a wedge system. 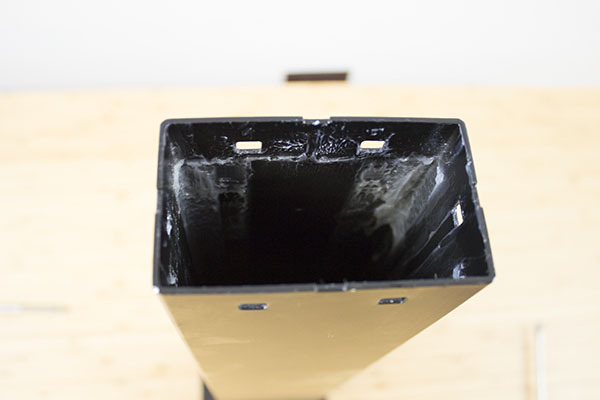 This same wedge design is used on the JieCang frame and is currently found on the Uplift Desk. Using these wedges, you are able to create a better lateral stability when the desk is raised to a standing height. 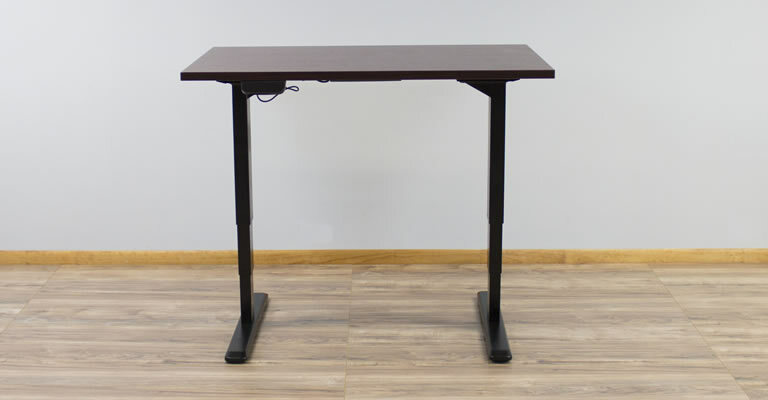 While the Uplift Desk was one of the most stable standing desks without a cross support, the VIVO desk had too many other glaring issues. While the wedges helped below 40” tall, they couldn’t overcome other design flaws once raised beyond 41” tall. Taking a closer look at the gear and glide system for the VIVO standing desk, I wasn’t overly impressed here either. Before I had even taken the columns apart I had noticed the columns had a very bad fit. When doing the stability testing, I could actually hear the columns hitting each other from this loose fit. The main culprit for this was the improper use of glides. The glides selected didn’t properly marry the two columns together. It shouldn’t have come as a surprise, being the Vivo 103E is the cheapest standing desk I have tested. Because the VIVO desks OEM is fairly new to market, there could be ongoing testing to find a better solution. If not, I would highly recommend they take a closer look at the glide systems in place. The gear system was better than the glide system, in my opinion. While the gear itself appeared to be well built, it still used a lot of extra plastic parts. 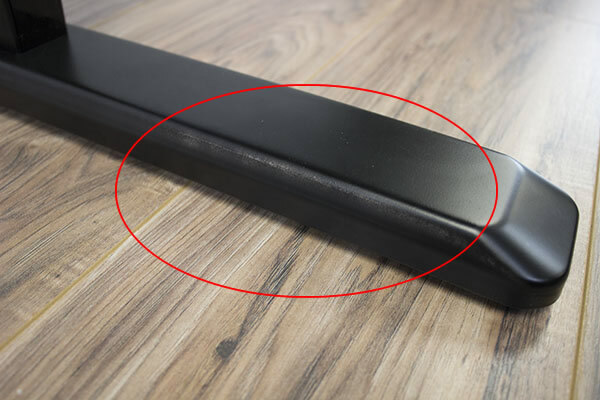 Similar to products like the Uplift Desk, these parts would appear to be a weak point in its design. The gear wasn’t over lubricated like some of the others we have seen. While the VIVO gears weren’t as nice as products using Ketterer gears, they were better than what we’ve found inside the JieCang products. The warranty on the VIVO standing desk is well below the industry average at only one year. This one period is for the entire desk, including the electronic components. My biggest concern for standing desk warranties is linked to their electronics. Without proper functioning electronics, an electric standing desk is useless. True. The VIVO 103E has 24” of overall travel, adjusting from 25” up to 49” without a top. False. We found that with only a 50 lbs desktop, the VIVO 103E moved at 1.35” per second. Through testing we averaged 60-62 decibels when the desk was in motion. True. The VIVO 103E was able to lift the 220 lbs as rated. I tested the desk with multiple weights below 220 lbs and its adjustment speed was consistent no matter the weight. When I attempted to overload the desk it automatically shut down. At only $329.99, the VIVO 103E is one of the least expensive electric standing desks on the market. 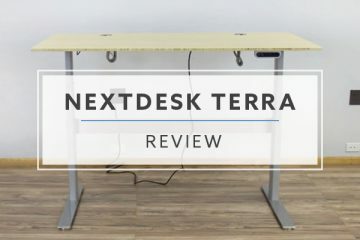 This provides an opportunity for users to consider an electric option vs. a DIY standing only desk that have many problems associated with them. It’s important to keep your expectations for a product at this price point fairly low. The VIVO standing desk was probably one of the quickest standing desks I have assembled to date. Overall, there really wasn’t any pain points during the process. 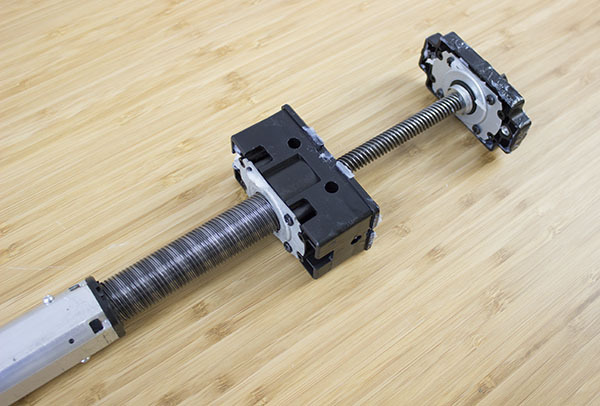 For most users, you should be able to have the frame assembly complete within 30 to 60 minutes. It is nice to see that one of the most popular upgrades on an electric standing desk was included on the VIVO standing desk. The 103E comes standard with a three programmable switch. While there switch was fairly bulky, it functioned without an issue for me. Throughout my testing, it’s been surprising to see overload protection not included on almost all of the desks. It was good to see this option come standard with the VIVO standing desk. 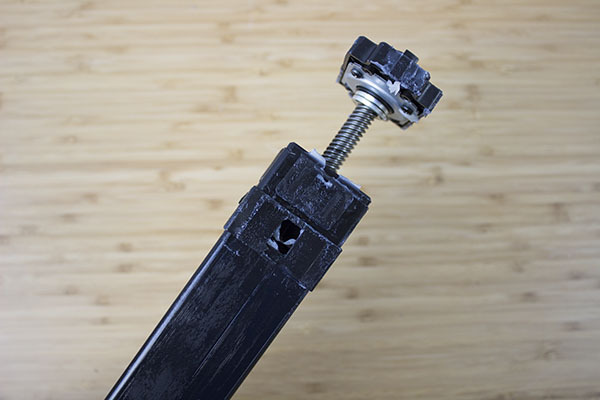 Overloading an electric standing desk can quickly burn out motors and damaged gear systems. By including this function it should help reduce user errors that could potentially shorten the product’s lifecycle. This is especially important with the VIVO standing desk because of it’s short warranty period. 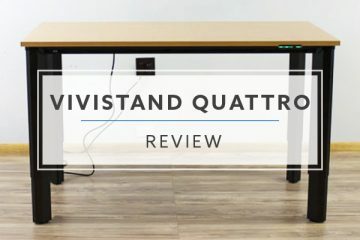 Because the VIVO standing desk is one of the least expensive options available, it came as no surprise it had a weak warranty. With only one year of coverage on the entire desk, including electronics, I am a little concerned. While $329.99 is the least expensive option I have tested, it can still be considered expensive depending on your budget. Faulty electronics can leave you with a desk that is crooked, too low or too high. All of these scenarios make a standing desk useless and could require you to purchase a completely new desk. The VIVO 103E is at the bottom end of stability, when compared to most other options i’ve tested. Only the IKEA Bekant and Autonomous Desk were less stable. Depending on your height and specific needs, this could be a deal breaker. Having a desk that is wobbly or rocky will create distractions and potentially stop users from standing at their desk. Flaws within the glide system were the major cause of this. Because the OEM manufacturer is new to the category, there is potential for the stability issues to improve over time. Overall, I was less than impressed with the quality control with the VIVO standing desk. There are big misses on the paint consistency, over lubrication throughout the entire frame and inconsistencies inside the control box. Looking at the frame, it seems that the factory is rushing to get product out the door. For the paint to look as it did, QC couldn’t be checking them prior to packaging the each frame. The over lubrication issues are similar, with grease all over the column before I cycled the column up and down. This meant the columns were full of grease when the factory workers put them into the box. 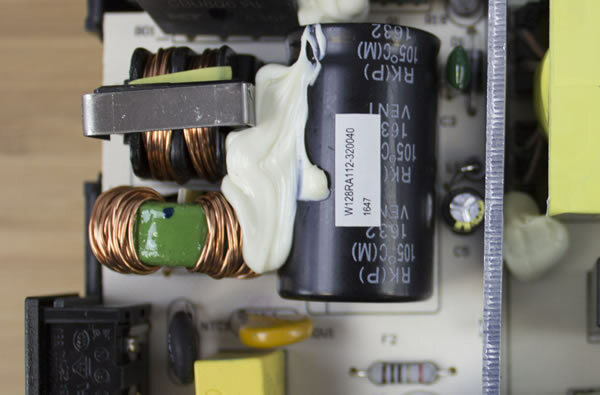 Lastly, the globs of white epoxy inside the control box is less than impressive. Couple that with the excessive amounts of copper wire wrapped around portions of the internal components and you can see QC is a problem. It feels like there are a lack of procedures and protocol for all of these aspects of the production process. Having an OEM with less than a full year of experience producing electric standing desks can create a ton of headaches. From the outside looking in, building a standing desk can appear to be a simple process; however, it is anything but easy. Flaws within the design of an electric standing desk can create stability issues that are only exaggerated as the desk is raised to tall heights. 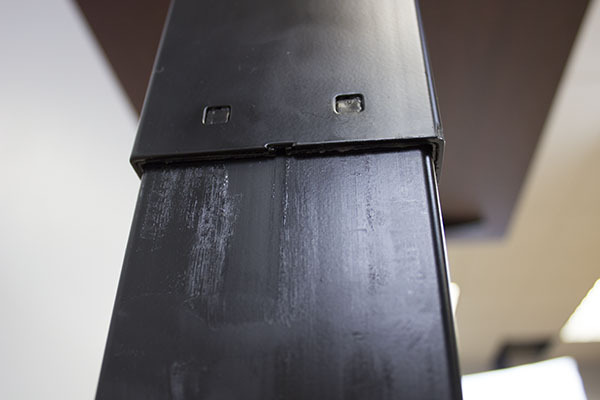 Friction inside the columns can cause false positives with overload protection and anti collision systems, causing desks to stop functioning properly. Once these issues occur, electric standing desks require replacement columns to eliminate the binding issues inside their glide systems. 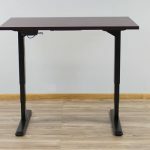 We have seen large organizations discontinue entire lines of electric standing desks over these issues, recalling thousands of products in the field. This is something that users should seriously consider when purchasing a product from an unknown manufacturer. Especially when that manufacturer is designing and manufacturing the entire column and electronics system. I will be completely honest, I had fairly low expectations for the VIVO 103E. With such a low price point and warranty period of only a year, the cards were stacked against the VIVO product. Couple that with the fact the OEM manufacturer has only been in production for less than a year, a lot of red flags exist. If you are willing to overlook these obvious shortcomings, there is a chance the 103E could work for you. With an easy assembly process, standard programmable switch and overload protection system, the VIVO standing desk does have some decent features. For me, the lack of stability, low level of quality control and bottom of the line electronics would have me looking elsewhere. At this price point, alternatives do exist, most likely a product from Autonomous would be your best solution. If you’re willing to spend more, the VertDesk v3 or UpDesk elements will offer significantly better quality. Autonomous SmartDesk 2 vs. VertDesk v3: Which is the best? Uplift 900 Desk vs. VertDesk v3: Which is better?